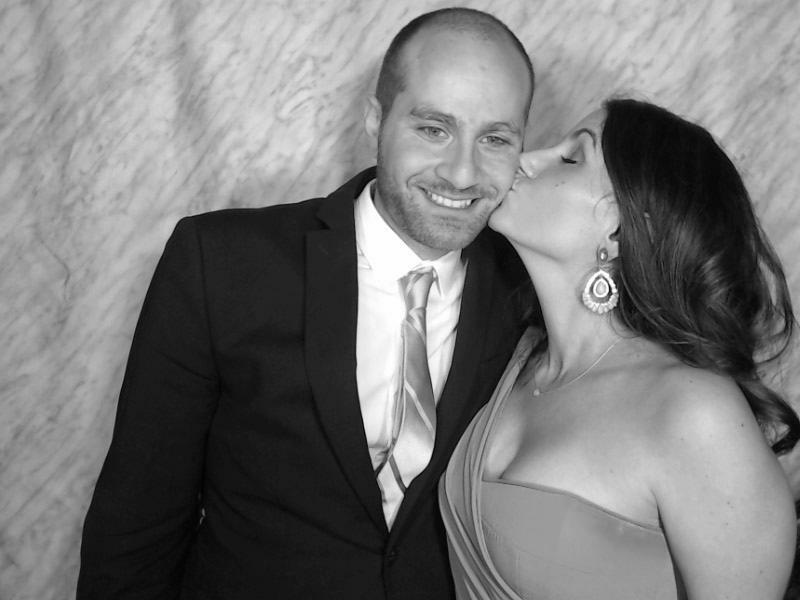 You’re thinking of having a photo booth at your event, right? While there are a lot of options out there, we think that maybe Photo Booth of Charlottesville could just be your best bet. Why? 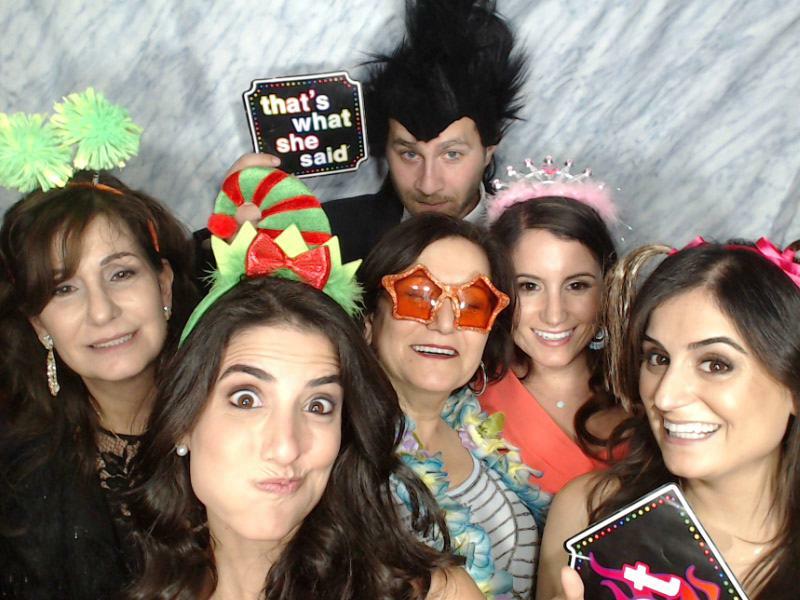 Lucky for you, we’ve got all of the answers on why we should be your photo booth go-to for your next event. Have a seat, grab some popcorn, and let us tell you why we’re the best choice. Not all events require the same things, and that’s where our packages come in. We’ve got three distinct packages that all offer different time frames, set up, and pricing. We’ll tailor our services just for you. Plus, you get one of our staff at your event no matter what, and we think we’re kind of awesome. 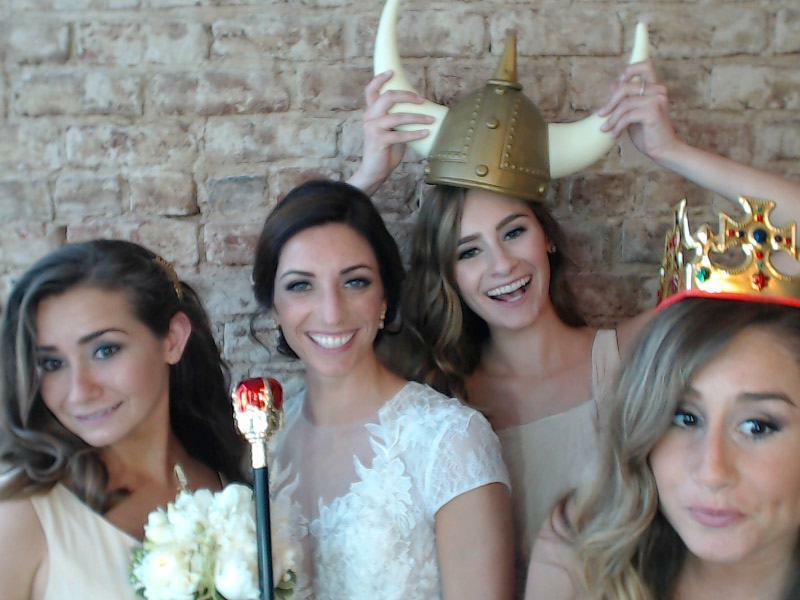 One of the many things we love about photo booths is how you can combine the modern and the classic. That’s exactly what we do here at Photo Booth of Charlottesville. 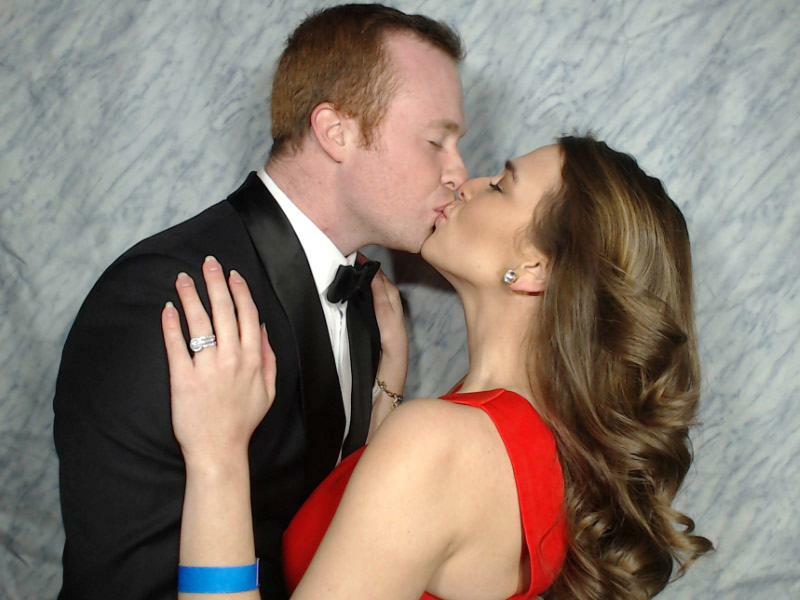 The idea of a photo booth is a classic concept, and everyone loves taking home a memory. We don’t do it the traditional way, though. We’ve got the latest and greatest tech when it comes to out booths. While modern, if you want that classic photo booth experience, Photo Booth of Charlottesville has you covered. 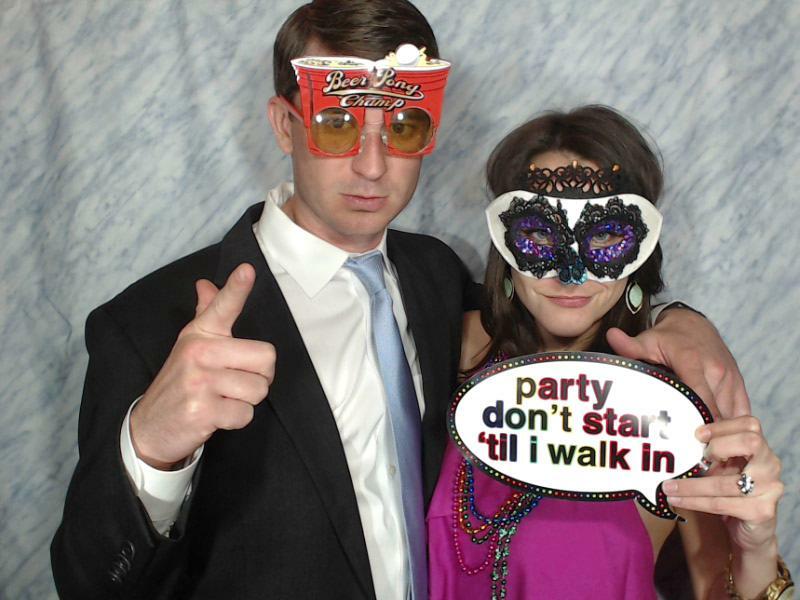 Worried about leaving the photo booth alone at your event? Thinking that guests may not know how to use it? Don’t worry. We have you covered. 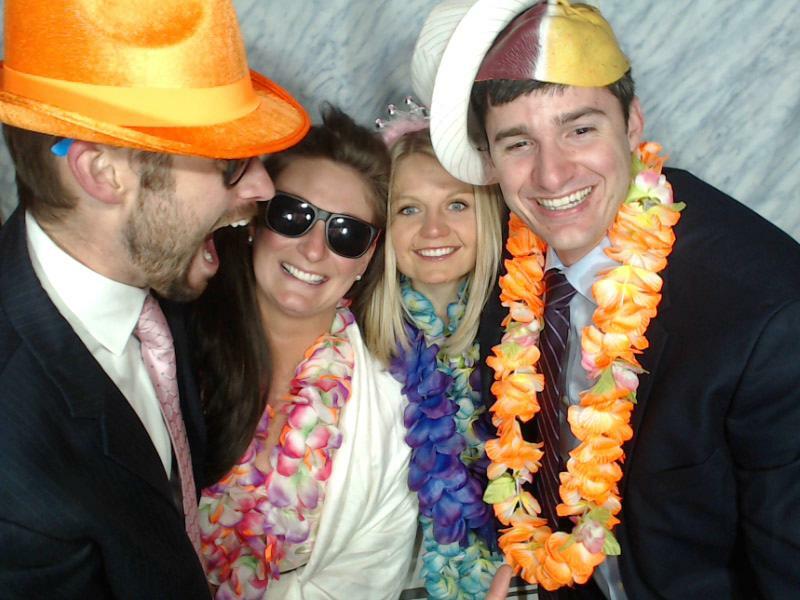 At Photo Booth of Charlottesville, we make sure that every event is staffed by one of our very own. Whether you want us to lay back or get in there and help your guests make memories, we’re there for you from the beginning of your event until the end. 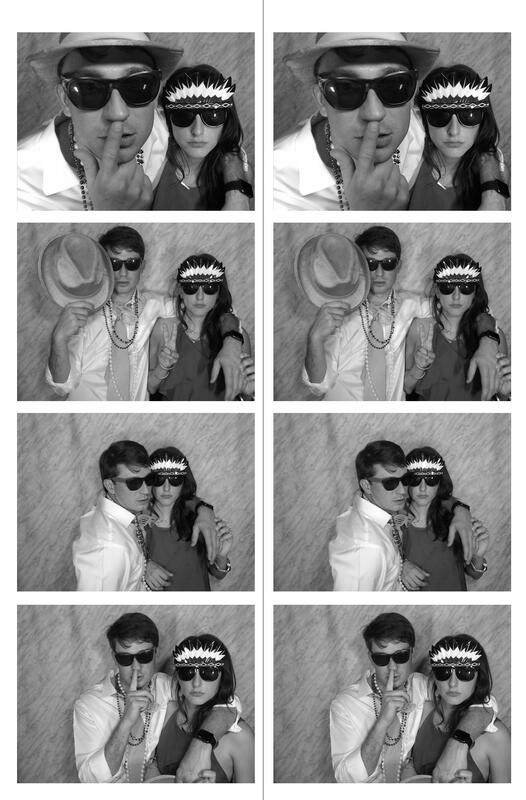 If you’re planning to have a photo booth at your next event, count us in. We love making memories, and we want to do it with you. It’s no secret that we love our brides and grooms. There’s something special about entertaining wedding guests and helping them and the couple make memories, but a photo booth event is more than just a wedding. We’re here to remind you of that. We’ve got some ideas about other events where we can be our fun selves and help you make some great memories. 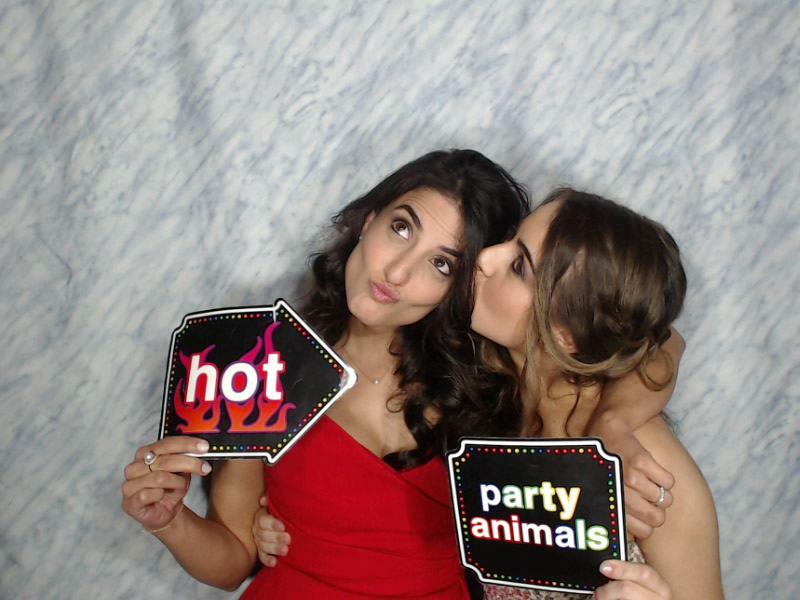 The truth is that a photo booth event is any event you want it to be! Whether your company is celebrating an important anniversary or having a holiday party, you can make it a photo booth event. Guests at company functions need to be entertained just like those at a wedding. 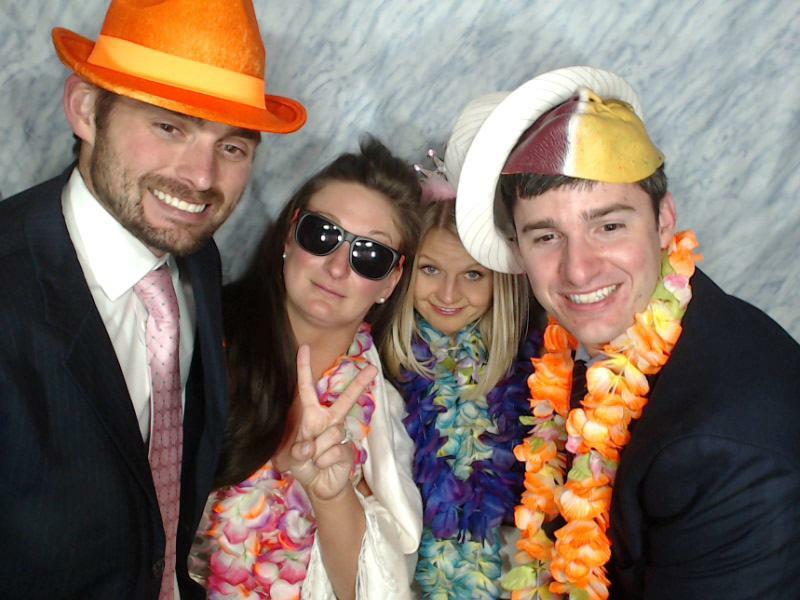 Why not let a photo booth do the job for you? We may be biased, but we think we’re pretty great. 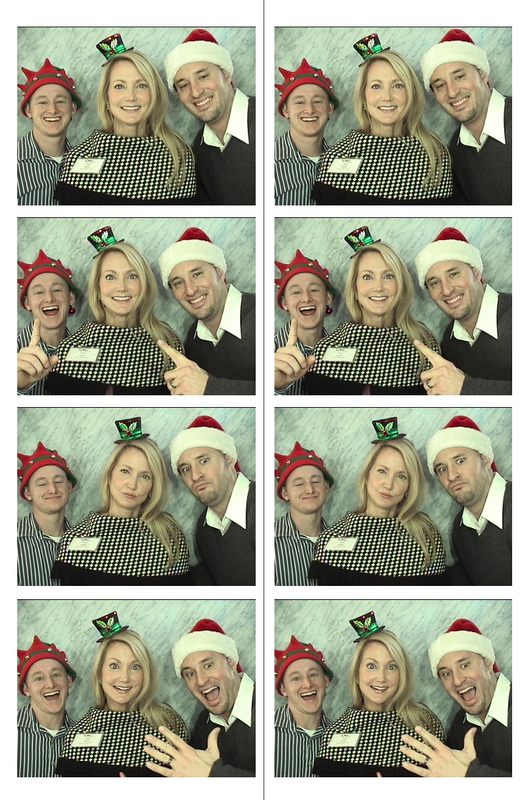 While we may not be dressing up as Santa or the Easter Bunny, holiday events make great times to have a photo booth. Let’s be honest, it’s a party, and we love parties. Just like with wedding, your guests want to remember the night (or at least have a way to remember the night if the champagne is flowing), and a photo is the perfect way to do it. Another photo booth event? Well, pretty much any party you can think of. Do you have a friend turning 30? 40? 50? Why not hire us to help them and their guests makes some memories? If you’re a huge sports fan, a tailgate party is another great example. Basically, if you’re throwing it, we’ll be there with bells on. 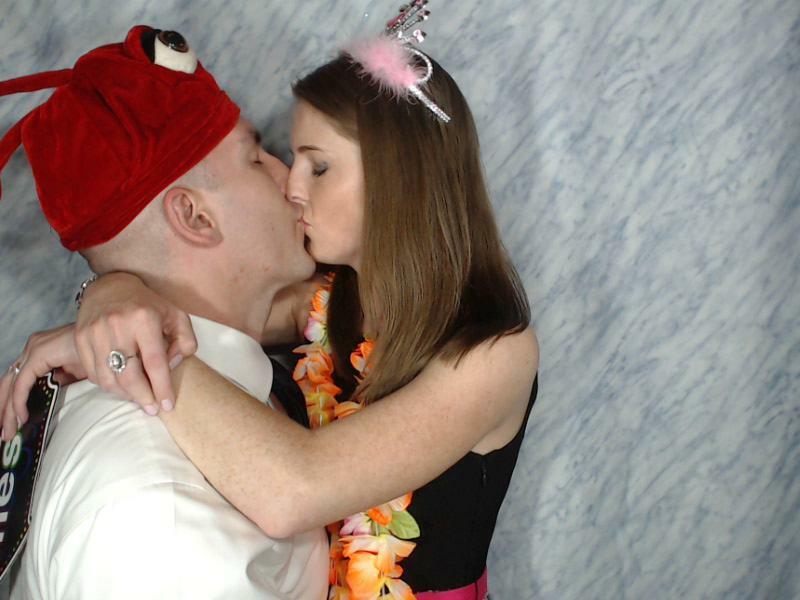 If you’ve been considering a photo booth for your event, go for it. We’re here to help! Honestly, we’re basically up for anything, and we’re pretty fun if we do say so ourselves. What do you think of when you think of a photo booth? 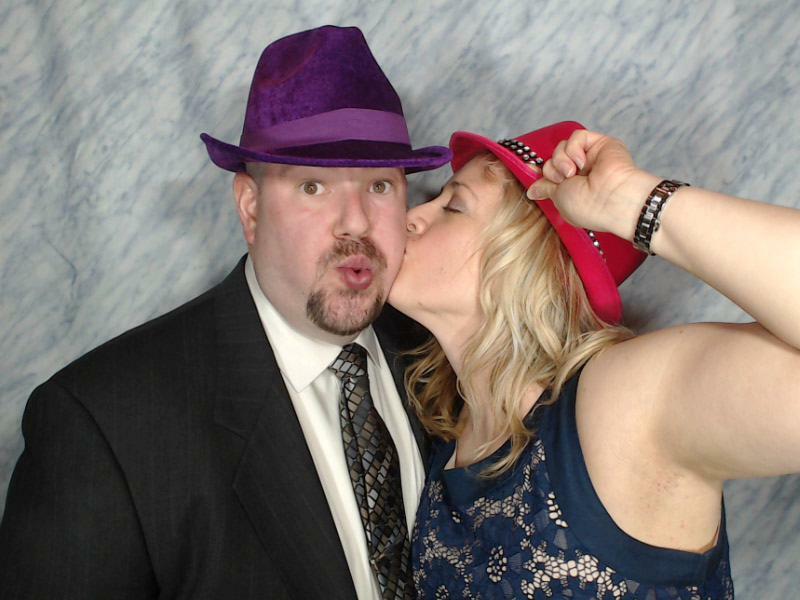 Silly poses, a sweet kiss, and a great keepsake from an event. One thing you may also think of but not even realize it? Photo booth props. The seemingly little detail of having a prop for your photo booth may not seem important, but they can take your photo from good to awesome. Lucky for you, we’ve got plenty for your next event. At Photo Booth of Charlottesville, we pride ourselves on being your one stop shop for all things photo booth, and that includes props. While yes, we have some seriously fancy technology like our photo to gif option, and our cool set-ups, but we also believe in basics. That’s why we always make sure to bring some props along for the ride. Here’s the thing about a great photo booth prop. It works for everyone. From kids to adults to even the littlest event attendee, there’s something for everyone. For those who may feel a bit self-conscious stepping into a photo booth for the first time, a prop can be a great way to relieve the tension. 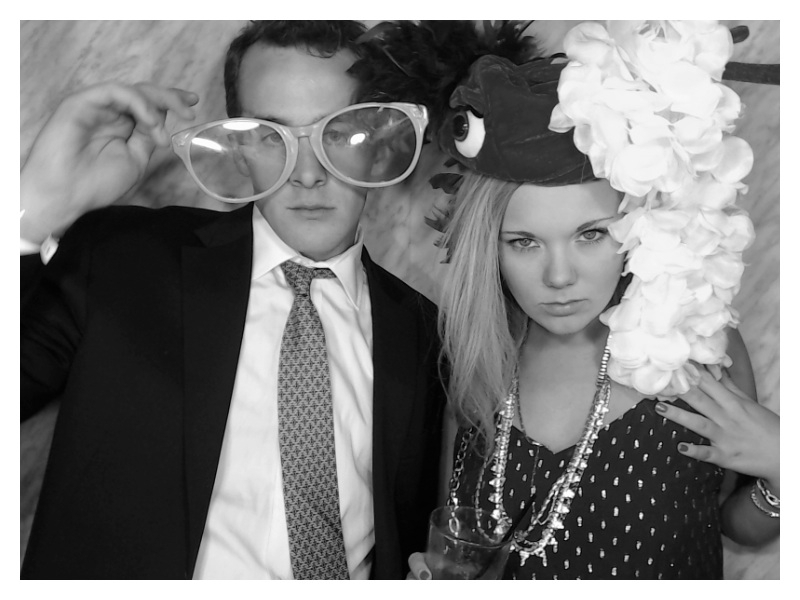 A great photo booth prop will also add some dynamics to your images. Sure, everyone loves a silly face. 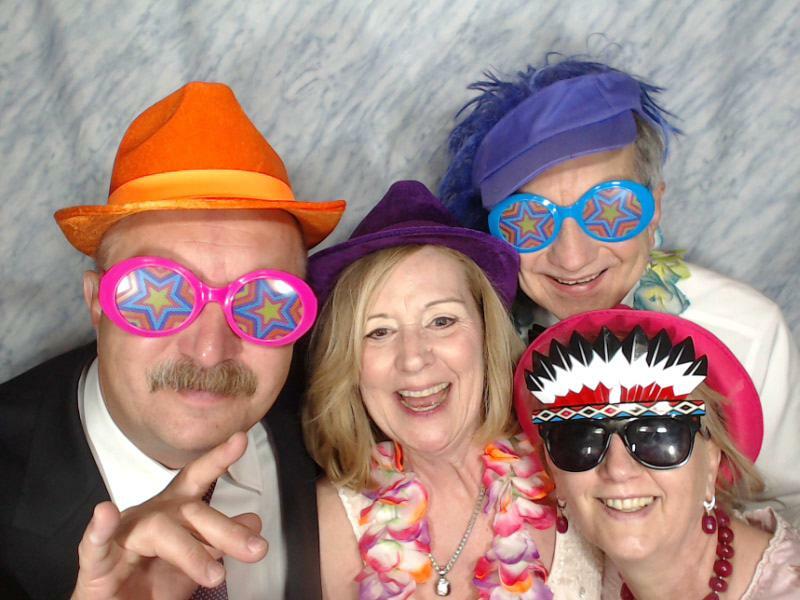 We’re a big fan of them here at Photo Booth of Charlottesville, but add a pair of huge glasses, maybe a feather boa or two, and you’ve got a next level memory. If you’re looking for a way to make your guests more comfortable, look no further than a photo booth prop. Good news for you, we’ve got plenty! Want to learn more? Head over to our website and contact us. We’d love to chat! Why is a photo booth a great idea? Well, technically we’ve already answered that on the blog, but we’ll add another. Photo sharing! 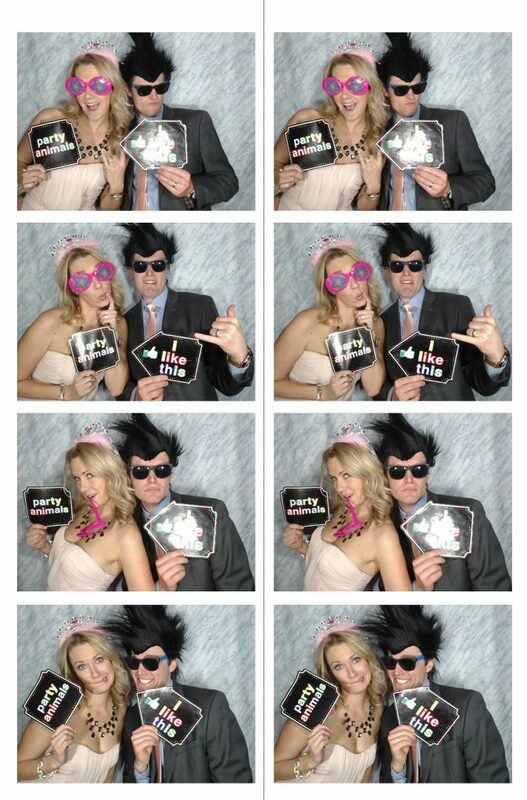 And the best way to share you and your guests photo booth experience? A wedding hashtag. If you’ve been to pretty much an wedding lately, you’ve probably seen a hashtag to use if you’re snapping photos or using one of our ultra-fun photo booths. Not only are they creative ways to engage your guests, but they’re also the perfect way for you to surf social media post-wedding to see all the fun your friends and family had in our booth. How do you create a wedding hashtag, though? We’re here to help! Sometimes, simple is best. That means starting at the most basic way to make a hashtag: using your names. Try to determine if one (or both) of your last names could form a word that would fits in a phrase. 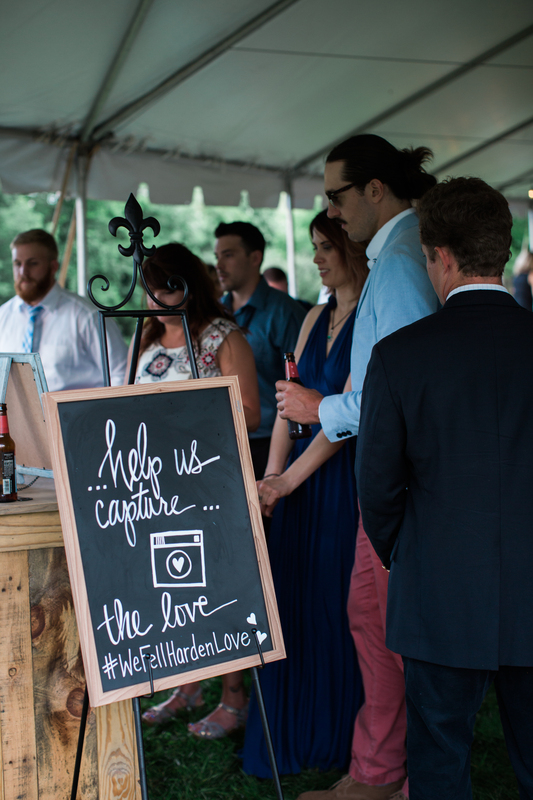 The Hardens, for example, used the phrase #FallingHardenLove for their hashtag, and it’s one of our favorites. Another example? The last name Mann. That’s an easy one. Use the first name of the bride or groom to form the phrase #AshleyGetsHerMann. The good news? There are real life wedding hashtag generators on the internet! If you can’t form a pun or joke with your first or last names, don’t worry. These generators are here to help you out! You don’t have to be super punny to have a great hashtag! Just use social media as your inspiration! After all, one of the purposes of having a wedding hashtag is so that you can search photos on Instagram or Twitter after the wedding. Why not include Instagram in your creation? #Smithstagram #Kiblergram It works with just about every last name, and you can take over your friends’ feeds with it. Perfect, right? Clearly, a wedding hashtag doesn’t have to be as stressful as you may think. With these tips and some creativity, you’ll be social media famous. You’ve decided to have a photo booth at your event. Now, which one is right for you? That’s where we come in. When it comes to a photo booth package, we’ve got options. From small events to major ones, there’s nothing that we can’t do for you. While you should definitely reach out to us (because we’re kind of awesome), we’ll give your a run-down of our photo booth package options right here so there’s basically no work on your part. See? I told you we were awesome. Which of our three options is the best fit for your event? Let’s explore them here, and then, you can reach out to us with ease. If you’re looking for something for a smaller get together that’s a bit more simple, our standard package is for you. Don’t think it’s not an incredible option, though, just because it’s called “standard.” The perks on this beauty of an option are great. Not only do you 3-4 hours of photo time, but you also get unlimited photos. Who wants a cap on how many silly photos they can have of their friends, family, or co-workers? Then, there’s the option to get double prints of those photos in color or black and white, and you’ll receive all of them on a USB. Don’t worry about props, either. From scepters to crowns to feather boas, we’ve got it all, and we’ll bring it right to you. Of course, one of us will come along as well. Hey, one of our photo booth operators is probably the best part of any deal, honestly. With the ultimate package, you’re getting an upgrade for sure. First of all, you’ll be getting everything that we mentioned above in the Standard Package. Let’s throw in some extra perks. First up is our GIF to text feature. Want to send your friends a photo of how great your night is? How about a gif instead? We’ll be able to send a gif form of your photos instantly to your phone so you can share it with everyone. On top of that, your guests will be able to request reprints of their images right at the booth. If they took the greatest photo of their lives (and they probably did), they can get a few copies as proof. As for you, your guests will be able to leave sweet (or funny) 20 second messages for you (probably thanking you for getting a photo booth), and you’ll get a your own customized memory book. Just because something is called Basic, it doesn’t mean that it actually is. Our most low-key package is available on weekdays only and is perfect for a small gathering. You’ll get two hours of time (which is plenty to let people get some seriously great shots in), and you’ll still get unlimited photos and double prints in black and white, and color. There’s no scrimping here. Plus, you’ll also still get one of our fab hosts to come to your party or event and run the booth. We promise, we’re pretty fun. With a plethora of props and a USB filled with the events amazing photos, the Basic package is anything but. Have questions for us? 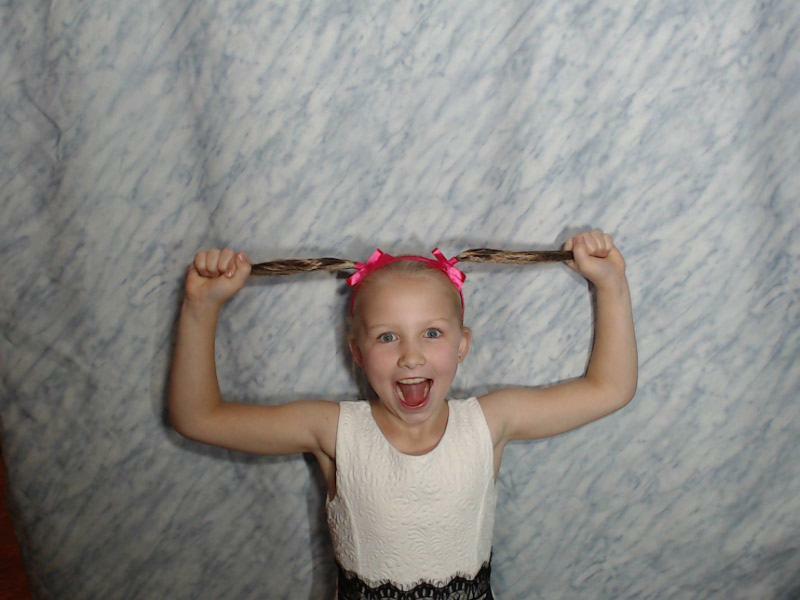 Ready to book your photo booth package? Simply head over to our main site and reach out. We can’t wait to talk! 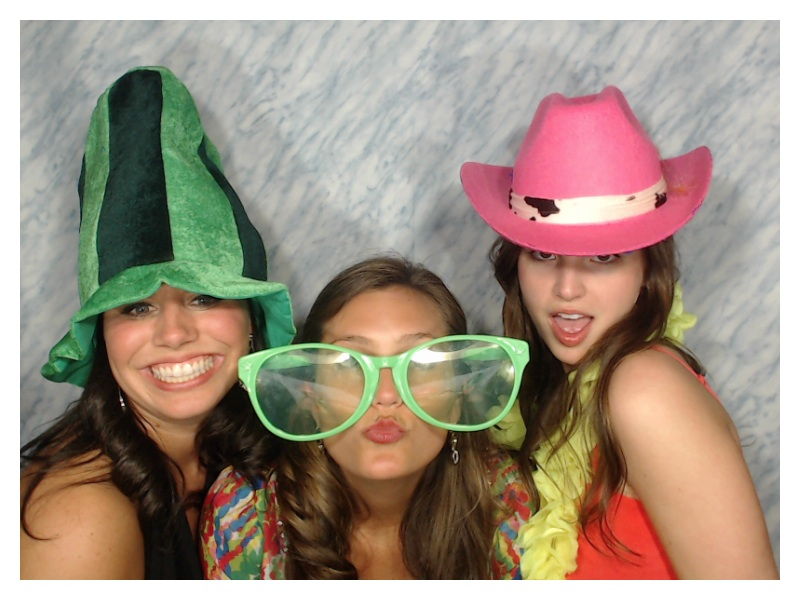 Welcome to the Photo Booth of Charlottesville blog! 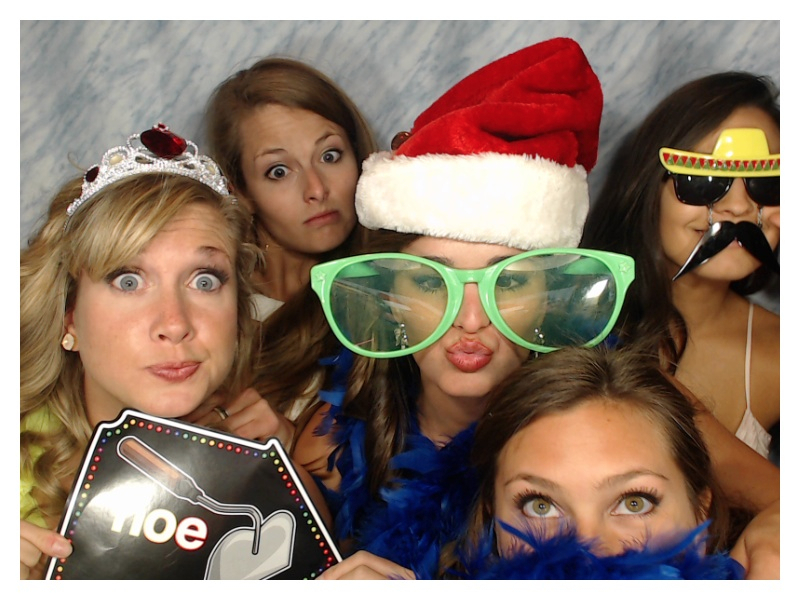 We’re a premier Virginia photo booth company, and we’re so glad you’re here to get to know us. In 2018, we’re working to give our brides, grooms, event planners, and everyone in between a glimpse in to who we are and what we do (other than help people have the best time possible at a party that is). So, kick back, take a second, and let us give you the Photo Booth of Charlottesville 101. Well, obviously, we’re Photo Booth of Charlottesville. 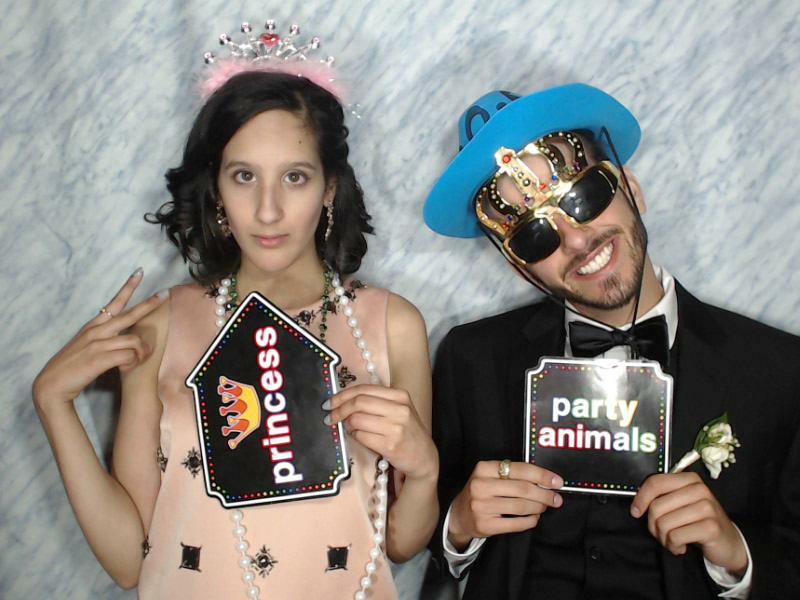 More specifically, though, we’re a group of party professionals (and occasional professional partiers) with modern photo booths that will travel. 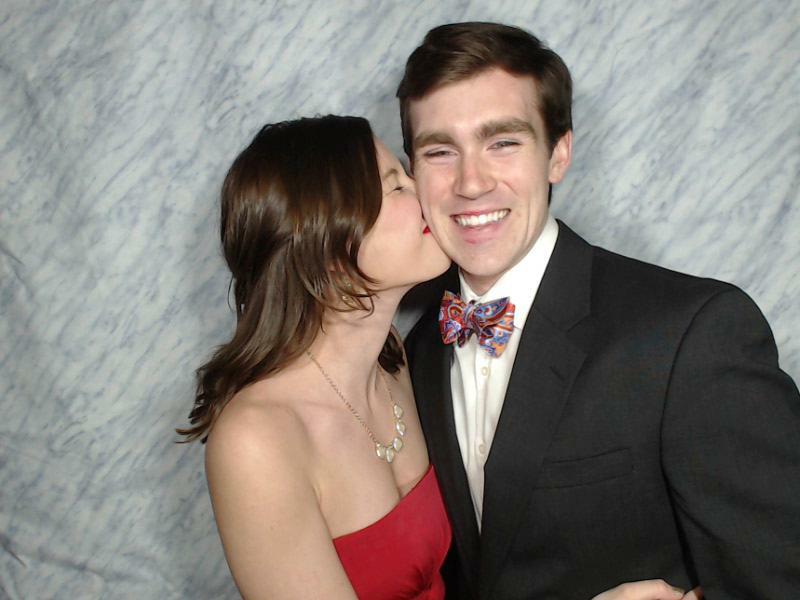 If you’re looking for a Virginia photo booth, we’re pretty sure that we’re it. Our photo booths are designed to help you and your guests create lasting memories in creatives ways. Basically we’re taking a traditional concept and giving it a new spin. With innovative technology, quality service, and some awesome operators (if we do say so ourselves), we’re one of central Virginia’s leading entertainment vendors. The what of Photo Booth of Charlottesville depends on you! One of the elements of our business we’re most proud of is our versatility. Looking for a modern, open air booth? We’ve got it. Throwing a bash that needs a more classic feel? We’ve got a booth for that as well. Our booths aren’t our only great feature, though. We’ve got a a GIF to text options which means you can send yourself your photo in GIF form to your phone. Have a wedding hashtag? We can place a logo or wedding date on your images. Do we have limitations? Not really. Maybe don’t release any swans or doves or butterflies into the booths, but we do have some pretty cool props ready for you. That’s only some of the options we offer, though. As for our packages, we’ve got three. There’s our basic level that comes with 2 hours of service, unlimited photos, double prints, a host, and props. Then you’ve got the Standard package which features all the benefits of the Basic level with an additional 1-2 hours. Finally, don’t forget our most luxe option. The Ultimate package includes everything in the Basic and Standard levels but amps things up with the GIF to text feature, a reprint request option right from the booth, a live 20 second video for the hosts, and customized memory book. See? What we do is totally up to you. Just remember that with great power comes great responsibility. We’re a Virginia photo booth, but we’ve got a special place in our hearts for central VA. That means we currently serve Charlottesville (we are Photo Booth of Charlottesville, after all), Richmond, Harrisonburg, and surrounding areas. Have a question about if we can work your event? Shoot us a message or give us a call any time! 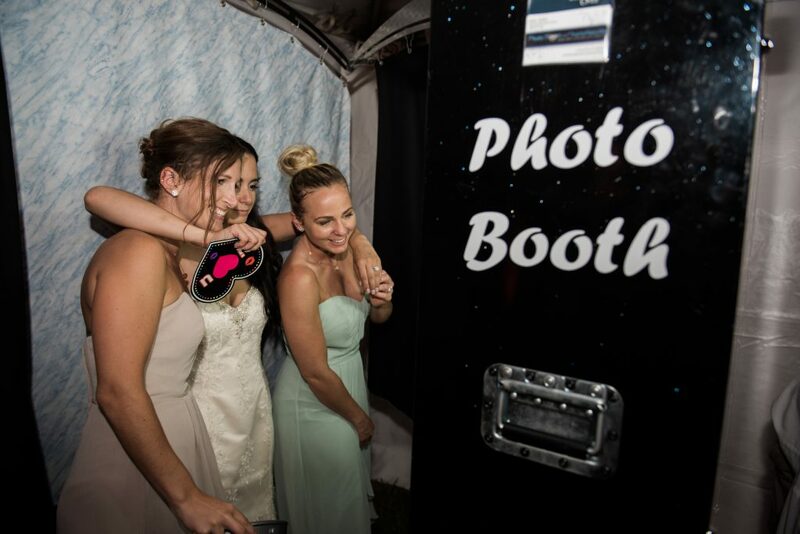 When can we come give you the best photo booth experience of your life? That’s a careful coordinating act between you and our operators. However, good news! We do work weekdays as well as weekends, so if you’ve got an evening event that’s not a weekend, we may just be your people. Just head over to our contact form, and let’s chat. Here at Photo Booth of Charlottesville, we may be in the photo booth business, but we like to think we’re in the people business, too. From weddings to corporate events to birthdays, we take pride in making people smile both in front of and away from the camera. Playing a small part in your event makes us just as happy as it makes you when you see your awesome photos. We can’t wait to get started with you. It’s not every day you have the opportunity to party with a room full of celebrities! However, Photo Booth of Charlottesville does have the honor to frequently party with some really well-known and successful people, at their private parties and exclusive events! A few weeks ago, we had the very unique opportunity to be invited to, and provide our photo booth at the private residence of Daniel Snyder (owner of the Washington Redskins), for the WOW Wives Holiday Party!! As a business owner, not only was this a great opportunity, but as a lifelong Redskins fan and 7 year season ticket holder, let’s just say it was very exciting!! When our 1997 Dodge Caravan, used exclusively for Photo Booth of Charottesville, who we call the “White Wonder” pulled up to the property, I am certain the security guards didn’t expect we were special VIP guests for the day:)!! We were obligated to sign non-disclosure agreements to prevent us from revealing specifics of what we saw on the property, but I can say it was simply amazing, and what you would expect from a BILLIONaire’s home!! The host of the evening was Mrs Tanya Snyder, co-owner of the Washington Redskins! I must say Mrs Snyder was an absolute sweetheart, and such a gracious host! She made us feel right at home, and was even kind enough to take pictures with us in the photo booth! The event was full of ALL beautiful women, who were the wives, girlfriends, etc of the Washington Redskins players. Among those in attendance were SuperBob’s (RG3) wife AND mother, the Shanahan wives, Mrs Deangelo Hall, Mrs Brian Orakpo, and just about every other Redskins name you can think of!! 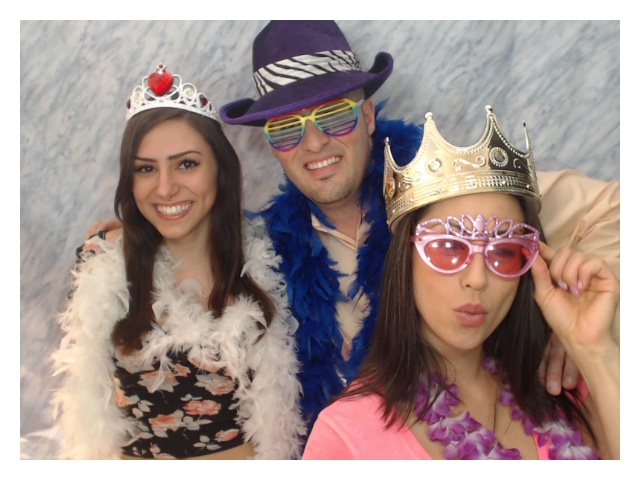 The women absolutely loved our photo booth services, and took countless pics throughout the event! They were extremely complimentary and requested lots of business cards for future events! We are very thankful to the team and the Snyder’s for having us in their home, and proud to say that Photo Booth of Charlottesville is the photo booth of choice for the Washington Redskins!! It was certainly an unforgettable experience as a business owner and as a fan! HTTR! Please remember when having your next special event or private party, Photo Booth of Charlottesville will ensure your event will be one that people will be talking about for years to come! Please contact us at the info below, we would love to party with you! !